Improving the business environment, granting tax incentives to business households to get upgraded to corporate entities and supporting business start-ups are some solutions for Vietnam to achieve the target of one million enterprises by 2020. In addition, the Vietnam - European Union Free Trade Agreement (EVFTA) has been submitted to the European Council for approval and is expected to be officially signed by the end of this year. This pact is hoped to create a plenty of opportunities for business development target to 2020. Speaking to the recent meeting of the Standing Committee of the National Assembly, Director of the Economic Committee of the National Assembly Vu Hong Thanh said that the target of having one million enterprises by 2020 is difficult to be achieved. Specifically, among five objectives set in Resolution 24/2016/QH13 on economic restructuring plan in the 2016 - 2020 period, that the last objective of SOE restructuring and business and cooperative development is hard to be fulfilled, he said. Based on business development in general and private sector development in particular, Mr Thanh admitted that realising the goal of having one million enterprises by 2020 and contributing 50 per cent to growth will be a huge challenge. “The target of one million businesses in 2020 is unlikely to be reached, especially when business development still faces certain hardships and corporate dissolutions and bankruptcies increased in the first nine months 2018,” he added. According to the General Statistics Office (GSO), over 73,000 businesses suspended operations from January to September, up 48.1 per cent year on year. Of the sum, more than 23,000 registered for definite operational suspension and over 50,000 registered for indefinite temporary operational suspension or waited for dissolution. As many as 11,536 companies completed procedures for dissolution in the nine-month period, up 32.1 per cent year on year. In particular, in the third quarter, 4,907 units were dissolved, representing a 48.3 per cent quarter on quarter 49 per cent year on year. Thus, an average of 270 enterprises had to leave the market a day from January to September 2018.
Business surveys also showed weak business confidence. In the third quarter, only 43.1 per cent of processing and manufacturing enterprises - showed brightly led the growth - anticipated a better outlook than the previous quarter. Still, 17.8 per cent faced hardships while the rest believed in a stable business prospect. According to the Economic Committee of the National Assembly, this reality was attributed to the ineffective enforcement of some policies on development support of the private sector - the drive of economic growth. Particularly, the private sector lacks resources to do and faces procedural obstacles to access policies. The enforcement of some business support policies is proven unfair and unclear in addition to overlapping, conflicting regulations that result in cost burdens and hinder business development. Because of these barriers, the domestic private sector development has been slow in the 2016 - 2018 period. According to a report by the Ministry of Planning and Investment, the value added growth rate of the sector was 5.51 per cent in 2016 and 6.23 per cent in 2017. In particular, private enterprises tend to have smaller scale, lower profitability and weak integration into the global economy. “A majority of private enterprises are small and medium-sized and no significant changes have been seen in the 2016 - 2018 period. Notably, new business growth is tending to slow down,” said Minister of Planning and Investment Nguyen Chi Dung. 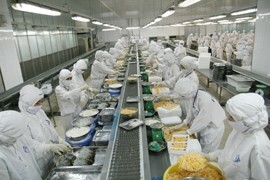 The agency forecasts that Vietnam will have 130,000 new enterprises in 2018. To fulfil the goal of having one million enterprises by 2020, the country must have an average of nearly 150,000 new active enterprises. Nevertheless, the number of corporate bankruptcies approximated new start-ups,” said Dr Pham Thi Thu Hang, Director of the Enterprise Development Institute under the Vietnam Chamber of Commerce and Industry (VCCI). Given that business start-ups reached 126,000 in 2016 and 110,000 in 2017, it will be very hard to reach the target of one million enterprises by 2020,” said Nguyen Bich Lam, General Director of the General Statistics Office. Remarking on this, Deputy Prime Minister Vuong Dinh Hue admitted that this is a challenging target. However, more than five million business households are active in Vietnam now and part of them will be upgraded into enterprises if we employ good solutions,” he said. Then, the target of one million enterprises is not out of reach anymore. “I agree on the necessity of improving the business and investment environment and reducing corporate bankruptcies. The Government is asking the Ministry of Finance to amend the Income Tax Law to inhibit financially unviable companies which will go to the wall after a period of time. If 5.1 million individual business households are converted into enterprises, the target of having one million enterprises by 2020 is not out of the question anymore. Therefore, the Government is requesting relevant ministries and agencies to do this,” he said. Specifically, according to Deputy Prime Minister Hue, individual business households converted into enterprises will be entitled more preferential tax rates. “For example, ordinary enterprises are subject to a 20 per cent income tax but converted businesses will be imposed 17 per cent. These issues will be brought to the next meeting of the National Assembly by the Government,” he added. The government is also trying to carry out anti-tax erosion measures to make the economy more transparent as the goal of the Government is to substantially improve the business and investment environment. Recommending another solution for the target of one million businesses, GSO General Director Nguyen Bich Lam said that it is necessary to encourage and support new start-ups to deliver on the goal sooner. He stressed that any solution must basically ensure macro-economic stability and have a sustainable business environment. In addition, it must continue to vigorously reform administrative procedures, eradicate troublesome procedures for enterprises. “Importantly, credit support policies must be open and easy for enterprises, enabling them to invest in scientific and technological development and labour training,” said Nguyen Bich Lam. Thus, the 1-million enterprise goal is a hard-nut-to-crack task as admitted by the Government and relevant bodies. Therefore, in order to accomplish this task, government agencies need more drastic actions. “If we really improve our business environment, Vietnam will have not only one million businesses but one million effective businesses in 2020,” said economist Pham Chi Lan. In particular, according to experts, the Vietnam - EU Free Trade Agreement (EVFTA) has been submitted by the European Commission to the European Council for approval and is expected to be signed late this year. There will be many opportunities for business development. The Ministry of Planning and Investment started to sketch out the 2019 plan. The ministry estimated GDP to grow by 6.6 - 6.8 per cent and CPI to gain 4 - 5 per cent. Social development investment capital was estimated at VND2,036 - 2,097 trillion in 2019, up 7.7 - 11 per cent over 2018 and equal to 33 - 34 per cent of GDP. Export value was expected to rise by 7 - 8 per cent to US$256 billion while import value was forecast at US$261 billion, up about 10 per cent. Trade deficit was hoped at US$5billion, less than 3 per cent of total export value. Total liquidity will be expanded by 16 per cent; outstanding credit will rise by 15 - 17 per cent. The country will flexibly and prudently manage interest rate and exchange rate policies in line with market development and macroeconomic balances, strengthen foreign exchange reserves, and ensure the liquidity and safety of the credit institutions. In 2019, the balance of payments will grow steadily and the overall balance will be the same as in 2018 at US$11 billion.